By the end of 2013 -- as GM finishes rolling out several new vehicles -- the Cruze, shown as a 2014 model, will be the company's oldest model. DETROIT (Reuters) -- General Motors has delayed the launch of the next-generation Chevrolet Cruze by a year due to engineering changes and a desire to squeeze more sales from the small car before it is redesigned, people familiar with the company's plans said. Canadian Auto Workers union leaders at a supplier plant in Stratford, Ontario, have already announced the delay to members. GM spokeswoman Annalisa Bluhm declined to comment on future product plans, but said the Cruze has sold well and GM just introduced a diesel-powered version. The automaker has said the next Cruze will be completely redesigned inside and out, with a larger trunk and roomier passenger compartment, and will get better fuel economy. In the first six months of the year, U.S. sales of the Cruze were up 17 percent to almost 134,000, and in June it ranked as the second-best selling passenger car behind only Toyota Motor Corp.'s mid-sized Camry. The Cruze was first introduced in 2009, the year GM came out of bankruptcy with the help of a $50 billion U.S. taxpayer bailout. However, by the end of 2013 -- as GM finishes rolling out several new vehicles -- the Cruze will be the company's oldest model. And GM likely feels the Cruze's sales success gives it some time, so it can reallocate resources to other product launches, the supplier source said. "Why mess with success for now." Officials with the CAW union local and another supplier source said that "engineering changes" forced the delay. Union officials said in an online post on Facebook last month that the plant manager told them there were "rumors they may requote this business." The local union officials could not be reached and CAW national President Ken Lewenza declined to comment. GM said in August 2012 that the next-generation Cruze would be built in Lordstown, Ohio, where the current model has been assembled since September 2010. It also is built in several plants overseas, although the company has said the next version won't be assembled in South Korea. The U.S. market was virtually the last to get the current model, which was launched initially in South Korea and Australia. 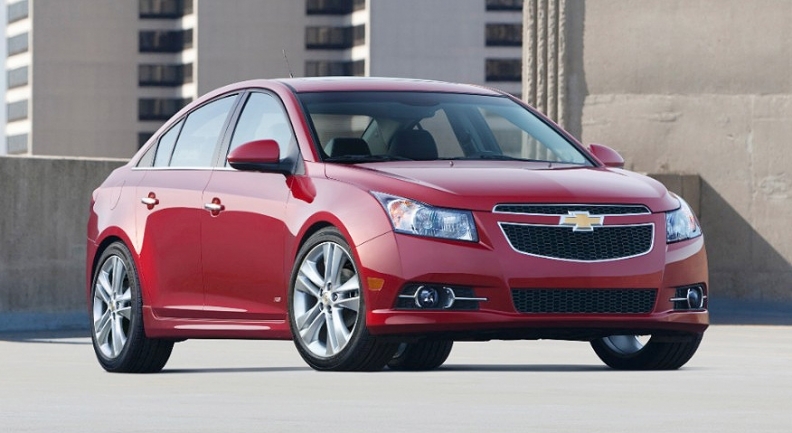 GM has built about 2 million Cruzes globally since its introduction.